Passengers on Qantas' non-stop flights from Sydney and Melbourne to London and New York could while away the 18-20 hour journey at a sky-high cafe, exercising in a mini-gym or tuning out in "virtual reality relaxation zones". Those are some of the ideas on a shortlist drawn up for the airline's ambitious Project Sunrise program, which aims to launch the world's longest flights in 2022. 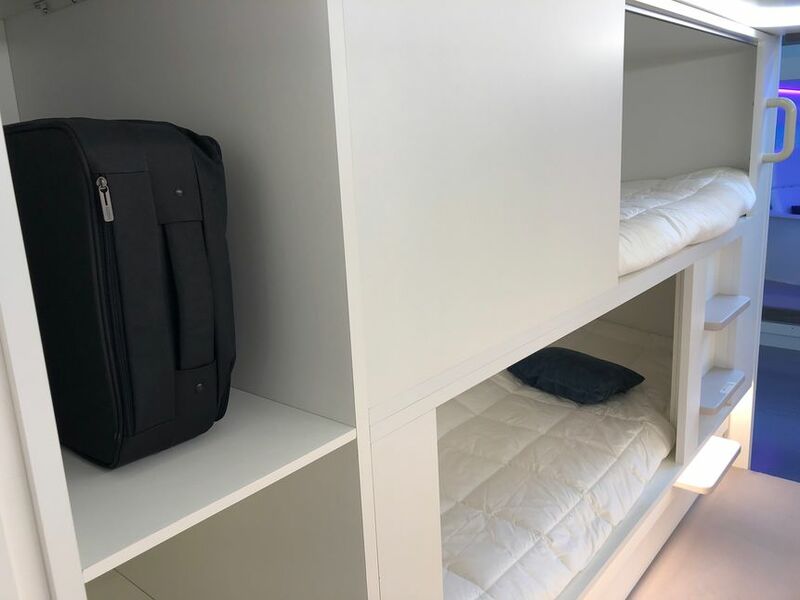 However, the railway-style bunk beds talked up by Qantas CEO Alan Joyce may not eventuate, with Joyce previously dialling back earlier expectations that the ultra-long range jets would carry "a full load" of over 300 passengers in four travel classes. Passenger research and focus groups conducted by Qantas is now being fed into the Project Sunrise think tank as the airline readies its decision on which jet – the Airbus A350-1000 or Boeing 777X – will undertake the globe-striding flights, which are also planned to extend to Capetown and Rio de Janeiro. Project Sunrise will see flights of 18-20 hours. Now, how to keep passengers sane en route? Not surprisingly, the airline says that "health and wellness are the top trends coming through all research" – although the observation of "a strong focus on mindfulness" sounds less like the words of a passenger than a PR spinner. None the less, Qantas' report provides the clearest indication yet of how travellers can expect to escape seat-bound monotony on the marathon flights. According to Qantas, one of the top suggestions for the Project Sunrise jets was space for exercising, ranging from gentle stretching to help promote circulation and minimise the risk of DVT, to "stationary bikes and rowing machines installed in dedicated exercise zones." Also on the list: an inflight cafe offering both alcoholic and non-alcoholic beverages including wine, mocktails, fresh juices and herbal teas, along with snacks. Both of these could be offered 'below decks' in the aircraft's cargo hold, based on a concept developed by Airbus and also floated by Alan Joyce. Whatever form they take, the task of turning thought bubbles into realities at 30,000 feet will fall to Qantas Industrial Designer David Caon, who says that Project Sunrise is pushing the boundaries of product innovation. "Customers are sharing some incredibly imaginative ideas, which is an exciting challenge and helps us to think outside of the box to redefine the ultra-long-haul experience," he reflects. Qantas International CEO Alison Webster echoes those notions, saying "our job now is to determine where the most demand is and create this cabin in a way that makes it both affordable for customers and commercially viable for the airline." Webster is also scouting around for "next-generation" designs for premium economy and economy class seating the Project Sunrise, and there's no doubt that all-new business class seats and potentially first class suites would aim to create "a step change" in the flying experience, as Webster previously told Australian Business Traveller. 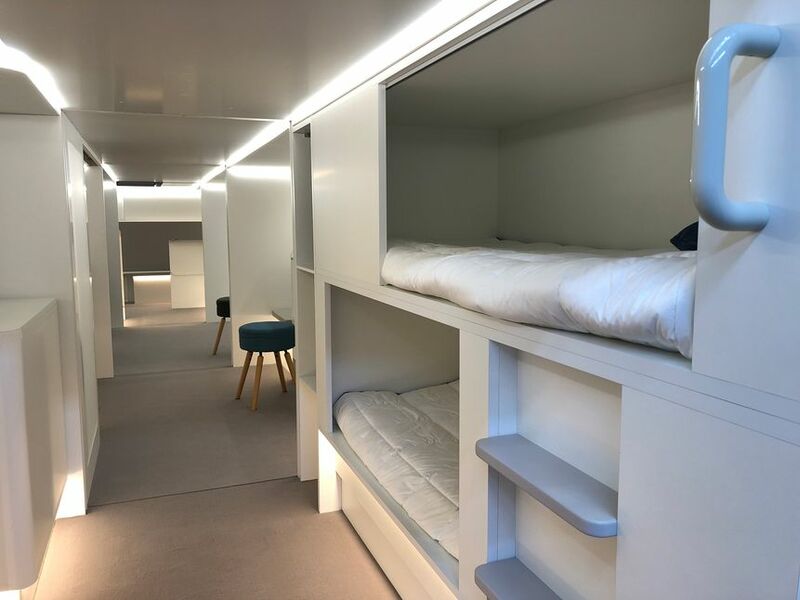 Interestingly, Qantas' list of the top five requests of would-be Project Sunrise passengers seemingly didn't include the bunk beds which Joyce described as an "out there" idea that could never the less create "a new class" of travel. 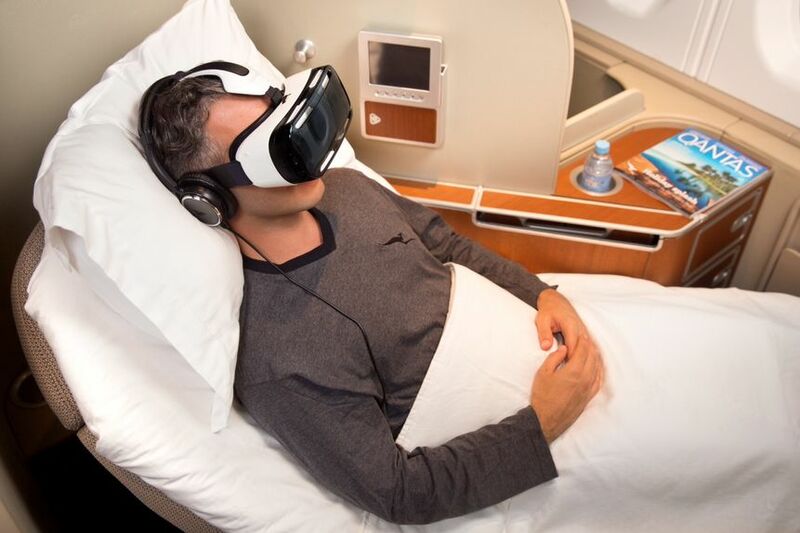 Qantas is also looking into a "separation of experience at different stages of a long-haul flight", where passengers can choose to be social or “zone out with either virtual reality relaxation zones (or) audio mindfulness experiences." There's also the matter of practical execution. 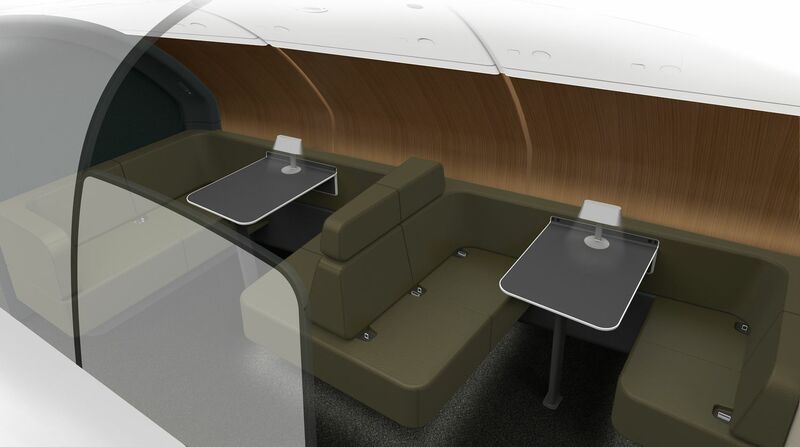 For example, would the cafe be a walk-up affair or have some seating, similar to what Qantas plans for its new Airbus A380 business class lounges? And if there was seating, would this be reserved for business class passengers, to prevent passengers flying in economy from swapping their more cramped seats for a cafe bench for a large part of the flight? No doubt more will be revealed as Qantas continues its Dance of the Seven 'Project Sunrise' Veils over the coming months. LOL... another marketing drive but since it’s Qantas the reality will be more seats, seats and seats. Just like the cramped up Dreamliner... That small business zone should be removed for a Emirates like bar area. Yes ridiculous. We only want three things, more space, more space, more space. The one thing qantas won’t give us. The diabolical 17” wide seat on their 17-hour flight should be illegal! Totally agree Alex...QANTAS just doesn't get it. If they would only have a look at the Emirates A380s and copy them, they'd do themselves a whole lot of favours. The usual rubbish we’ve heard for decades from airlines and the manufacturers. There’ll be just a lot of seats and not too much else. All this is is from a passenger survey. Not sure what the excitement is, but I suspect some of the lower cost ideas such as using non usable cargo space will be seriously considered for the premium flyers. A bar being the obvious one as long as the staircase is easily managed. Pointless article. We heard all this with the A380. QF International's first priority - since safety is a given - ought be to run on time or close to it. Something it is unable to do on so many routes, in marked contrast to many of its legacy airline competitors. Bin the gimmicks, which are just silly marketing hype. The point of this article is not fact but for all of us to read it. The media Know we are suckers for these type of stories and Qantas PR has succeeded even if one tiny exercise dumbbell is never put on a plane. Their PR is legendary. Eg. the "new fabulous PE seats" should appear in articles as 42 inch seat pitch down to 36/38. or the "Fantastic new Business class Suites replacing the old Business pods" should read 72/78 seat pitch down to 60 with feet in pigeon holes. Problem is the media will not get free flights, wining&dining and free personal upgrades if they write a scathing article. Same with car reviews, latest tech gadget reviews etc They're not reviews.!! More delusion! And converting cargo areas to passenger space... goodbye precious revenue ! The existing forward cargo hold on SIA's A350ULR is permanently blocked off to cargo in order to achieve the range the planes need. If QF ever wants a chance of flying SYD-LHR, it must do the same. A walk-up bar or cafe would literally be utilizing space that wouldn't otherwise be used. This reminds me of the Captain Cook Lounge on the old 747-200’s many years ago. A great idea it was until it was decided that seats earned more money than a flying lounge. I hope Qantas use some of their new found space for more toilets. Alleviating aisle queues for toilet usage would be a winner. Oh, the Captain’s Lounge on the 742 and SP!! One could get mildly drunk and have snack at the Captains Club airside in SYD then totter upstairs to the airborne version for more of the same. Duck with cherries is what I remember, and being able to check in less than an hour before departure and still have time for the Captains Club. The propaganda arm of Qantas in full swing. Not one thing mentioned here will come to fruition. Fly SIA business . Very nice indeed , if I dont say myself ..
literally why I will never fly their miserable 'dreamliner' again. Extra cargo area will be used to store fuel and to lock up complaining passengers. Economy seats will standing for free leg workouts. And pigs may fly. Sorry David, we all know they’ll just lay out the cabin with as many revenue generating seats as they can. But won’t be prepared to pay for it. Yeah I was surprised by that. It would be great if they sold bunk slots to economy / PE fliers. So they could book 4-6 hours in a bunk to break up the monotony of 22 hours in a seat. A bit like a sleeping pod at the airport. I again see the suggestion that they’ll do 4 class configuration. I really hope they do. I avoid LHR-PER leg as much I possibly can, choosing to go via SIN instead - simply because of the ‘First’ product. I suspect many others do too. I have no doubt at all the demand exists. I will continue to fly to LHR via Singapore, thanks anyway. I was actually referring to QF1, but yeah, Singapore Airlines are good. The Benchmark in Commercial Aviation and probably the reason why Qantas service is pretty good in the air. Seems a lot of cost and planning for a very selective flight from only 2 cities, meanwhile the rest of the country will have more and more flights using a stopover via the usual places, provabon more and more foreign airlines, can’t help think QF has a lot of other things it could focus on and this is just a distraction. As a self funded long haul flyer I'm just not sold on saving 3-4 hours, my time is my own and I'm just not that important that I need to save small amounts of time travelling. Yes, getting on an off a flight in SIN, DBX etc can be a little annoying, however, it is really only a first world problem, besides, thre are already some excellent lounges, they just don't fly. MY thoughts too...I am self-funded and travel often and long haul...SYD - DFW - FLL and SYD - DBX - MAN. The stops in DFW and DBX are actually a slight relief so you can wander around a bit before the last leg. Another QF teasing people without much of a clue and delivering a normal flight experience, but longer with lighter food :) I wonder if anyone has factored in the turn-around cost of all those amenities - having them cleaned up to standard in a limited amount of time. I think QF knock out this sort of information just to fill up empty airspace in their PR department. Golly, this looks like being as revolutionary as the Premium Economy seats on the 787! Waiting to see if QF will acknowledge that 38 inch pitch on the revolutionary PE seat was a mistake and do better on the A380 upgrades. Is it just me, or does this airline keep baiting the media with unrealistic ideas to keep in the headlines, frequently around this time of year, ULH requires min weight to make range and carry paying passengers. Not heavy items in “common use areas”. DownSouth. I think a quick scan through the comments here will soon tell you that, no, it isn’t just you! Yet more QF vapourware. How embarrassing for our former national airline to resort to such desperate measures. Most Australians don't realise that this airline is usually (depending on ASX trades) 49.5 per cent or so foreign owned. If it wasn't for limitations of the Qantas Sale Act foreign ownersgip would likely be higher. It's not the 'national carrier' any longer since most of us, when given a choice, opt for foreign airlines that are better than QF. Yes, agreed on all points (including my choice to travel on any airline other than QF). Thus my reference to "former" national airline. I didn't even bother to read past the headline. Also read in the paper a paragraph. Why of course people want these things when you don't say how much extra your ticket will cost. This just sadly just BS coming out from Qantas. Any means to get in the newpapers to show itself to be considering such ideas when in reality they knew the answer decades ago. Call me a cynic, but I'd have $10 with Allan Joyce that pretty much none of these are actually on the plane when it launches. It's probably less of an issue for premium flyers, in Biz or First (if fitted) because you have more room, better seats anyway, but for PE or Economy that is probably where the change would be needed. SQ are struggling to fill PE on their A350 ULR flights. MEL & SYD are big markets for QF and whilst we can speculate as to the economics for the operation of these flights, I do wonder how many Economy passengers they will actually need to make it work.I know if I were having to fly even PE on that length I would prefer a stopover. On business routes like NY or London then I suspect these will work, but on predominantly leisure routes like Rio or Cape Town, I'm not so sure. Sitting on your backside or not being able to go for a long walk in any class is terrible on long haul flights speaking from experience. Just try and sit on your most comfortable sofa at home for 10+ hours, like the long sectors are and see if that's not an issue. If the responses here are anything to go by, QF lose how switched on their PAX are. I reckon the expected standard are the SQ ULH aircraft. No gyms etc there, also no whY; but we know QF won’t be seduced by that notion. Wow, Mr. Joyce and his PR spin doctors are really milking these potential plans for all they are worth. Like most other posters, it's hard to see this amounting to anything in reality. I hope they have some face wipes ready to clean the egg off their face. As a J-class flyer, the three thing I would like (over and above the standard 1-2-1 business class seat!) would be slightly bigger restrooms, the ability to control my own air nozzles (so I can make it colder!) and somehow, the ability to get changed into PJs privately at my seat. You can keep the cafes, gyms, and "chill zones"! Id prefer a larger bathroom where my shoulders aretouching both sides of the walls! If you meant air nozzles, than I think you are mistaken. I suspect it is the airline that decides whether to equip the cabin with adjustable air controls, not the manufacturer - for example, the Singapore Airlines A350 does not have these controls in its business class.
" Pie in the Sky ". Was almost ready to believe all of this from QF ….. but then I realised that the story arrived without a cup of Kool Aid. I have been working on my deadlifts...I reckon I'll try for 300kgs on the plane. time it right with mid-air turbulence and you could easily lift it, but could get serious when the positive g's kick in. An A380Plus with some areas to stretch your legs, would be great. Shame it’s a fuel guzzler and I’m not sure it can make the distance. That would be lovely for a 20+ hour flight, comfort wise. Yeah, yeah... it’s too soon to sprout this after the failed ‘revolutionary premium economy’ that knocked the pitch down from 42 to 38 inches, the piss poor J to toilet ratio & the 9 across on the nightmare liner. Project sunrise can be a winner for Qantas & the passengers with a very simple formula. More toilets & better seats! They could look to the JetBlue cabin model as something to build on. "stationary bikes and rowing machines installed in dedicated exercise zones" - no, too much weight. "VR headsets?" - i dont think so, the OHS impacts of VR headsets are too much and the hardware is always out of date. Presumably they will use the facilities they mooted for the A380 when the started all the PR for that 15 years ago. I guess they are "political" commitments. Gasp dave,.... how about intl wifi.... can you innovate there fella? QF tend to over promise and under deliver. Do the Qantas PR dudes that shovel this drivel out every couple of weeks or so do anything else? Gave qantas away over 20 years ago. Always better cheaper options than QF tickets and this is all hype and false hope. It will be sardine city as always. Allen seems to be getting like our politicians with all the porkys. The sad part of all of this is that AJ and Qantas have achieved exactly what they wanted. People talking about QF. 54 comments on this shows just how well it has worked. Good PR tactics to keep QF in the limelight evn though most comments are not very flattering. So a gym without a shower and yoga space. How about some extra toilets and a bit more leg room since there is space to go around. That way the 98% of people who don’t want to smell all the way to London or who don’t do yoga could get a real benefit. Hahaha, that ain't going to happen. Gave up on Qantas a long time ago (cramped economy seating and so-so service) and haven't looked back. A pointless article (and not the first time I have read this basic content). I will wager my mortgage that QF stick as many seats as physically possible into the space, with precisely zero innovation whatsoever, unless that revolves around magically squeezing 12 across in Y, if indeed that could be called innovation. 787 hype vs reality being a case in point. I won't believe a word until the first jet makes an appearance. And on that point, why wait? A350-1000 flying now and has been for several months. Are QF waiting for it to catch on? Or is this just a huge stalling marketing campaign which says almost nothing of substance at all under the pretext of waiting for a 777-x. Complete rubbish. Maybe a one on one interview with AJ and ask him some pouted questions about the rubbish PEY in the 787 would be more interesting than this marketing guff. love all the comments so far... symptomatic of previous hype never delivered. In the cheap seats, a few inches more legroom and not rubbing shoulders would do it for me, otherwise nup. David. Can I stick my neck out here a bit. Whilst I appreciate you’re in a difficult impression and there is a note of scepticism in one or two areas here, it does read as a simple regurgitation of a Qantas press release. I think the comment section should give you a fair idea of whether your readers actual believe a word of it. I remember a discussion on these pages recently (regarding non travel content) where you were criticized by some for areas you hadn’t reported on, such as the AA / QF alliance. Yourself Chris and Sid talked about content and one thing mentioned is that you write about things when there is something to write about, you don’t report speculation. Well I’m sorry but the most generous assessment on this piece is that it’s speculation. And most probably a complete load of nonsense. I think it would serve you better with your readers (but perhaps not with the Media / Comms / PR people at Qantas) if you called it out as the likely farce that it is. Sorry if that’s a rant. It’s not meant to be. But I, and I suspect others, come here because it should be free of corporate spin. Yes this ‘story’ has appeared in every travel publication today. Just a Qantas piece of marketing. Position. Not impression in the second sentence. See, I’d never make a journalist!! what about a Fat Tax. Im sick of being squished against obese persons. I will never tell them that. That is not fair to them , However airlines should make a hard and fast rule . Everyone is aware and are within their rights to uphold it. Some say Qantas will just put in more seats. Extra seats are limited to the extra range and the extra fuel required. In fact the aircraft has to carry more fuel because of the extra fuel. There is a weight limit that the aircraft can carry and for this length of journey fuel takes priority. May be Qantas will follow Singapore Airways and for these long haul non stop flights opt for Premium Economy and Business class only. Less weight (less people) but higher fares. So all the people wanting cheap economy fares there will be one or more stop routes to choose from. Syd - DXB -Lhr and many more. Qantas give away lucrative cargo space for exercise bikes and rowing machines?? Pie in the sky stuff! Got a hand it to them with this cheap advertising PR nonsense stuff the media love because we foolishly bite the bait and read it till the next myth is perpetuated. LOL......... We don't want 20 hour non stop flights, we want 12 hours to London supersonic with stops. 68 years from Wright brothers to man on the moon and almost 60 years from Concorde designs to .85 mach cruising for cheap $$$ profits. yes supersonic would be great and it will come but at a cost most people will not or can not afford. The problem is we all want cheap flights and to get there quick. Not going to happen. You're right about the cost however I lament the lack of development in supersonic travel given the engineering development feats of the last century. Prior to the 747 air travel was unaffordable for the masses. I'm pretty certain if the United States was geographically located where Australia is, Supersonic travel would be common place today due to strides in engineering caused by demand. Suggest you read the article - and other comments - to understand why cargo space will be foregone. Then come back and contribute. I think strict International limits set on seat pitch and seat width for long haul flights are long overdue. Anyone else agree?? Yes but all air authorities need to agree. My experience is that will be difficult unless the risk assessment or a few compo claims force the issue. Yes of course. All authorities need to be in on it. You're probably right about the claims or better still Insurers wont insure DVT on 32/33 inch seat pitch aircraft. Supersonic flight is the real goal but we need to get into near space to achieve the high speed low cost per mile. High altitude means low air pressure so low drag. Once again I feel it will be small aircraft (up to 50 seats ) that will be possible. Concorde was mentioned earlier and it had less seats than A320. Ow and it did not make a decent profit on the scheduled routes. However speedbird 1 took off from Heathrow same time as a BA 747. Speedbird landed at JFK and the 747 was not even half way across the Atlantic. Amazing for an aircraft designed in the 1960s . the best idea is the virtual reality goggles-all economy pax should be given one so they can fantasize that there is ample space around them while squeezed into a tight fit cage.What a joke this survey- joyce will do whatever the best to squeeze more bucks out of every seats! You could be right however personally I will seek flights with stopovers to stretch the legs. 20 hours in claustrophobic planes doesn't appeal too much to me and I suspect I'm not alone. Try sitting on your favourite sofa at home for even just 10 hours straight. Yikes.!! When I read the 'article' I thought I'd been smoking whacky baccy. I hadn't, but it did give me a belly laugh. The thought of 17+ hours on the squeezy Boeing 787 in sardine class gives proof of calling it a nightmare plane. Where will the exercise equipment and bars be on that aircraft in any section? All this super dooper stuff can only go on the monsters and they can't travel for 17+ hours non-stop. Only once did a 747 do it and it carried no paying passengers, never mind heavy gym stuff. I think the whole idea comes from fantasy land. By the way, has Mr Joyce or any management personnel travelled in the sardine section of the 787 all the way to London? Only after they have will I believe in the value of 17+ hours in the air. I read QF plan to remove 30 economy seats from the upper deck of the A380 and add a further 6 business class an 25 premium economy seats. How many sardines can you fit in a can ? Comment on "Qantas: cafes, gyms and 'chill zones' for non-stop 20 hour flights"